The Zen One condom is a slightly larger than average for a better fit. It is shaped for comfort, extra lubricated and has a unique dual texture for maximum pleasure. We think they are the best of all of the condoms we stock, both in terms of quality, style, effectiveness and packaging. These are perhaps the most stylish condoms in the world. 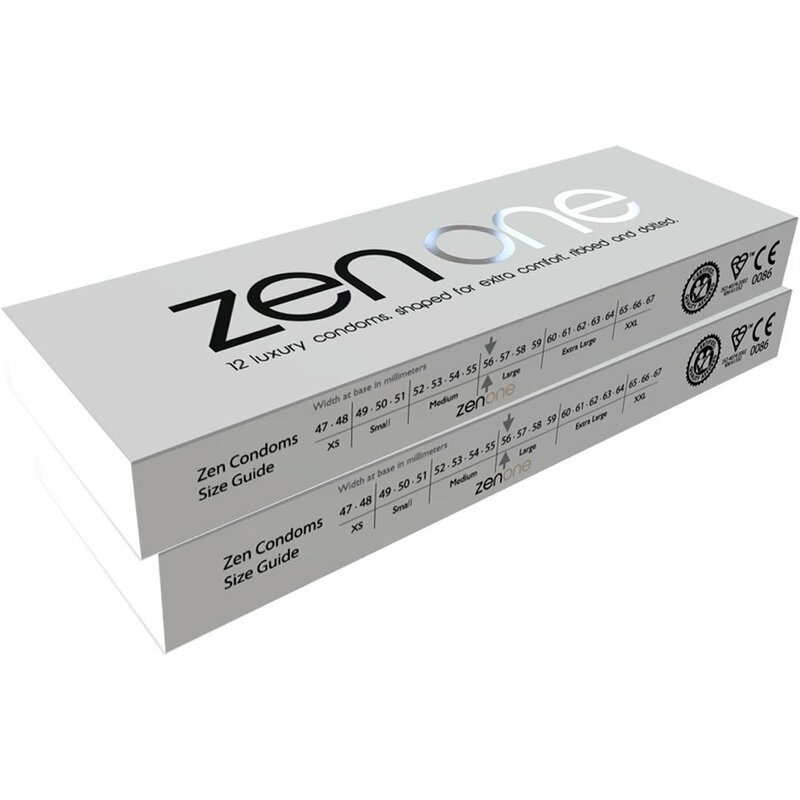 Extensive research gathered from customer feedback and surveys informed the design of the Zen One Condom and the packaging it comes in. Zen listened and the Zen brand of condoms was created to fulfil the need for a high quality, pleasure giving, safe and effective experience with maximum sensitivity. Zen Condoms are made from latex that is processed (vulcanised) on site as part of the manufacturing process – this produces a much higher quality product, both in terms of strength and consistency and in terms of its odour. Many condoms are made from pre-vulcanised latex shipped to the factory in large vats. These condoms, in our opinion, are not of such a high quality, particularly in terms of the latex material consistency and the odour they have.